Earlier this week I went on a slight rampage when it comes to cleaning out our fridge. I made an amazing dinner using all sorts of things we had on hand that needed to be used before they expired. Our chicken and veggie bake turned out perfectly and after we enjoyed our wonderfully homemade meal Justin had only one comment, "What's for dessert?" 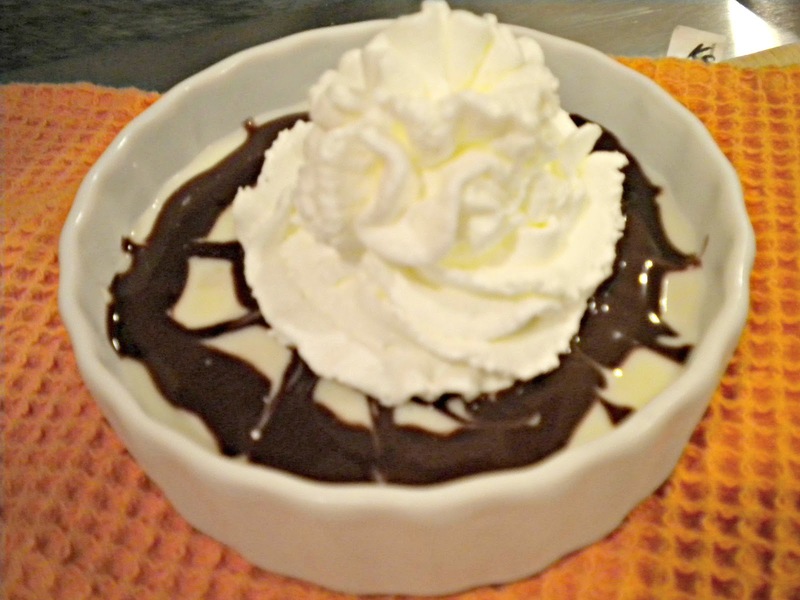 Since I had spent most of my evening preparing dinner, I needed dessert to be quick and easy. I also wanted to try and continue cleaning out the fridge if possible. A few weeks ago I got a few gallons of milk for free in a Publix promotion and since it is just the two of us we still had a decent amount of milk left that needed to be used before it expired next week. I decided to whip a box of the sugar free jello pudding we had in the pantry but since I was still feeling all suzy homemaker after my from scratch (and using no recipe) dinner I felt the need to get fancy with our sugar free cheesecake pudding. 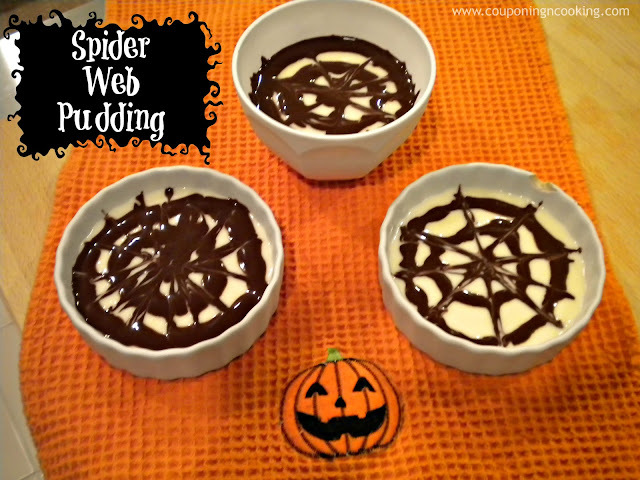 I have always wanted to try the spider web in the cupcake icing trick and I figured that pudding was no different than icing and I gave it a try. I used Hershey's Sugar Free Chocolate Syrup and I made a small dot with it in the center of each pudding dish. I then made two consecutive rings of syrup around the dot and used a toothpick to drag the chocolate syrup out like a web. Love your blog. Very nice. This recipe is so creative. Please visit us. We would love to have you and we are having a great giveaway this week. Register to win - it is under the Televenge post! So cute! Fun dessert idea. I love this idea! I think my son would love it, too. I'm following you on Pinterest. Hope you will stop by my blog and return the favor! What a fun and festive idea! Looks yummy! 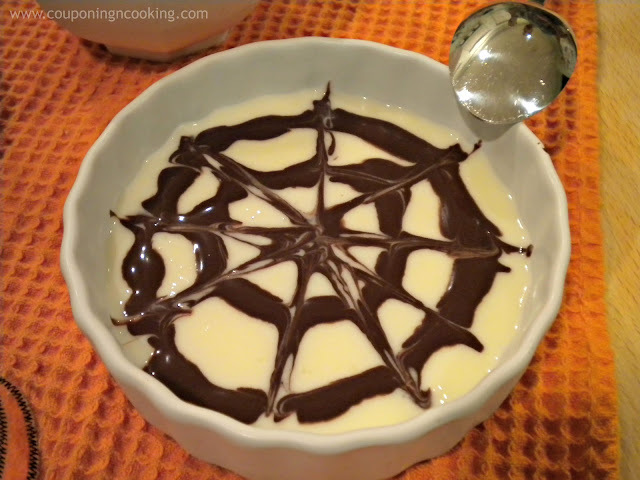 I love your Spider Web Pudding just perfect for the festival. Hope you are having a great fall weekend and thank you so much for sharing with Full Plate Thursday. These are so cute, love that you took something simple and made it special for the holiday! Pinned. Great idea for kids! It would be fun to make a little chocolate spider to sit on top! Kaylee, they are adorable! Too adorable to eat.... nah I'll eat some anyways!! YUM! I am SOOOO going to make this! My kids will LOVE it!!!!! Thanks so much fro this simple but super cute idea! This is so fun, my kids would go nuts. Thanks for sharing! So cute!! I hope you will share these at The CSI project starting tonight! The challenge is Fall Food and this is perfect! I am pinning and trying soon!!! I will have to try this - what an amazing idea for halloween!!! Cute and clever -- perfect for this time of year. Thanks so much for linking on Busy Monday! 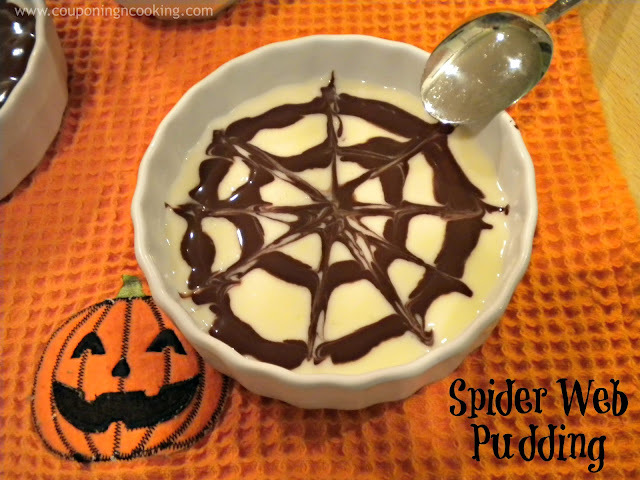 This is such a great idea for dressing up a Halloween dessert! It's so easy, you could make it for the kids any day. Might have to try it with my family this weekend. Thanks for sharing at our link party this week!